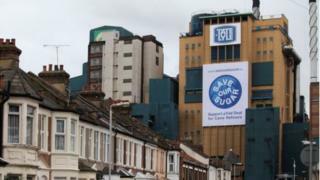 Tate & Lyle Sugars, one of the UK’s oldest firms, has written a pro-Brexit letter to staff saying that leaving the EU would benefit the business. The letter, written by senior vice president Gerald Mason, says that the EU has pushed up the firm’s costs. He is not telling the 800 staff how to vote, but say jobs will be more secure outside the EU. 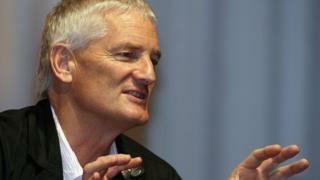 Meanwhile, entrepreneur Sir James Dyson says the vote “is the last opportunity to regain control of our futures”. Sir James, most famous for his vacuum cleaner, says in an article in the Times that voting to remain in the EU “would be an act of national self-harm”. Wednesday is the last official day of campaigning ahead of the UK’s in/out referendum on its membership of the European Union, with voters going to the polls on Thursday. The intervention by Tate & Lyle Sugars (TLS) and Mr Dyson comes as more than 1,280 business people signed a letter in the Times backing a vote to remain in the EU. TLS, which is no longer part of the FTSE 100 company Tate & Lyle, is the largest sugar cane refiner in Europe and has been based on the banks of the River Thames since 1878. Telling staff the company is losing money because of EU policies, Mr Mason writes: “Last year EU restrictions and tariffs pushed our raw material costs up by nearly 40m euros (£31m) alone, turning what should have been a good profit that we would all share into a 25m euros loss. Mr Mason said he has challenged EU officials about reforms, but been told “that if we lose our jobs then that’s democracy because there are more beet producers than cane refiners in Europe. That is not the sort of democracy I want to be part of”. How trade and the UK’s economy are affected by membership of the EU. His frustration at being unable to influence Brussels was echoed on Wednesday by Sir James. In his Times letter, the entrepreneur says: “I have been manufacturing and exporting globally for 46 years and have ‘sat at the table’ dealing with European bodies for at least 25 of those. He said the argument that Britain would be more prosperous outside the EU was overwhelming. He writes: “There is an entirely misplaced belief in the mythical powers of the single market and its influence and importance to the UK economy. “It is simply untrue that Europe is the world’s largest market. It represents only 16% of global trade – and its share is contracting according to the IMF. Britain’s focus should be more on the rest of world, he adds, saying “we have nothing to fear by leaving”.